Keystone Compliance currently offers thermal shock testing in two chambers. Both chambers offer approximately five-second transition times and can accommodate smaller products. We also have the ability to provide thermal shock testing to larger products by using two separate walk-in temperature and humidity chambers. If you have a large unit, we can likely find a way to test it. Keystone Compliance has two temperature shock test chambers. Both chambers are liquid nitrogen compatible permitting extreme cold temperatures to be reached. 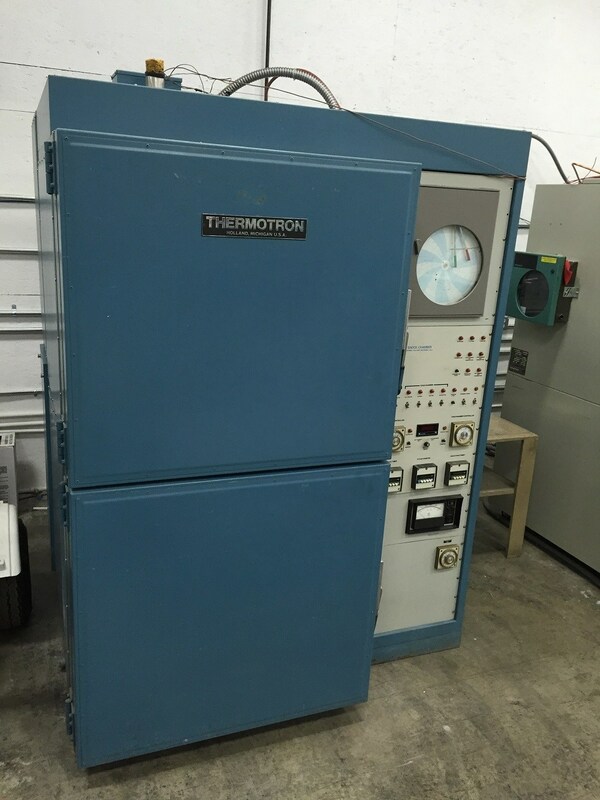 Thermal shock testing, per MIL-STD 810 Method 516.5, is conducted to determine if equipment can withstand sudden changes in the temperature of the surrounding atmosphere without experiencing physical damage or deterioration in performance. As a result of exposure to sudden temperature changes, operation of the temperature shock test items may be affected either temporarily or permanently. Temperature shock testing has two objectives; 1) to determine if the test item can satisfy its performance requirements after exposure to sudden changes in temperature of the surrounding atmosphere and 2) to determine if the thermal shock test item can be safely operate following exposure to the sudden change in temperature of the surrounding atmosphere. Keystone Compliance is a thermal shock testing lab. Contact us today to discuss how we can help you achieve your thermal shock testing requirements.